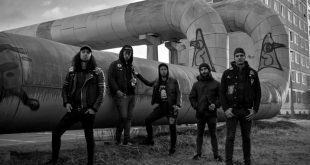 Home / Interviews/Punk/Swedish punks Out Of My Way talk about their latest releases! Hi guys! I took some minutes to interview the Swedish punks Out of My Way. 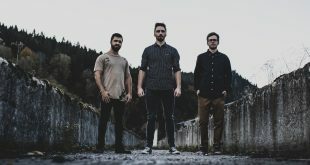 In this brand new interview, we’re talking about the band’s latest single single “Built to Last”. As well as their debut EP “Whistleblower”! Hello Out of My Way. Hope you’re doing great? First of all, thanks for taking time to chat with me. Could you please introduce yourselves, as well as your roles in the band? Our pleasure, we’re a trio hailing from Stockholm, Sweden consisting of Christian Gehlert (guitar / vocals). Tobias Eriksson (bass / vocals) & Charlie Österlund (drums). For those who have never heard your songs, how would you describe your sound, overall? I guess you could say our sound is heavily reminiscent of 90’s skate-punk bands like Millencolin, NoFx and Sum 41. Albeit with some modern touches, including the use of double-bass and a very layered rhythm section. You guys released back on September your music video for single “Built to Last”. Can you tell us more about this song? What’s the story behind it? The song is a stark contrast to the material from our debut EP “Whistleblower”, in the sense that it’s far more carefree and light-hearted. I (Charlie) had the urge one day to partake in the writing process of the band, seeing how Tobias and Christian were previously the primary songwriters. I basically began humming this chorus melody and wrote an entire song worth of lyrics. And with the help from Christian, we were able to work out a chord progression that fit with what I’d already written. After that, Tobias wrote the bass section and we all collaborated on finalizing the structure of the song. The lyrics primarily focus on the loss of friendship and relationships and how fleeting your circle of connections can be at times. The song is still very upbeat, though and was definitely written with the intention of writing a catchy, summer banger that closely adheres to more modern bands in the genre. How was the shooting experience? Any funny story to share with us? The video is a two-parter; part one is live footage from our release show back in March of 2018. The second part is us goofing around in the inner cities of Stockholm with longboards and sweat dripping down our cheeks. (That day was one of the hottest days recorded in Sweden in many, many years). After capturing some solid footage of us mucking about in different stores and cruising around the city, we held a barbecue at my (Charlie) house where we invited friends to hang out. The entire day was phenomenal. One story that comes to mind involve a brief moment in the video where Tobias and our good friend Max, are riding longboards off a harbor and into the water. Funny enough, Max borrowed my cruiser and was told to be careful and to not accidentally hop in the water with my cruiser. Since they’re not exactly impervious to water. Unfortunately, if you look closely at the 2:32 mark in the music video, you can see my cruiser nose-diving straight into the water. And in spite of numerous attempts being made to retrieve it, it still remains missing in action and on the bottom of the ocean somewhere. It still made for a good take, though! 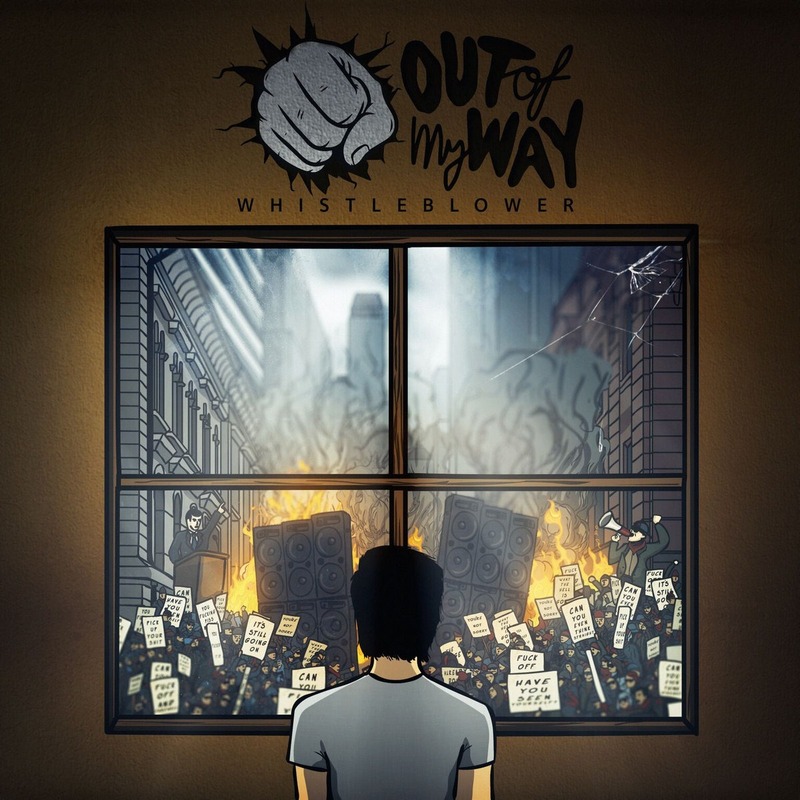 The track comes as a follow up to debut EP “Whistleblower”, which dropped this past Spring. How did you approach the writing process for this EP? Christian had several demos lying around from songs he had written and we wound up picking four of them before Tobias eventually wrote the track “Storage Locker”. It’s interesting, because that song is most definitely the wildcard of the EP. And it still remains the most popular track off that release. Seeing how a majority of the songs were written long before they were recorded, the entire process went smoothly and we had a lot of time to sit on the songs and change a handful of things prior to the recording process. Can we talk about the artwork of your EP? It’s really sick! Thanks! The artwork is basically a summary of the lyrical content from the EP. If you look closely, you’ll even see that the protest signs feature lyrical excerpts from different songs on the EP. The artwork sort of tackles today’s ongoing political and social climate. No one is really getting a long and everyone (especially in political spheres) are so incredibly toxic towards one another with no common ground being reached or agreed upon. The stuff we write usually has some political context to it. Whereas tracks like “Why She Left” and “Storage Locker” are more focused on personal relationships and personal growth. The last words are for you! Thanks for your time! No worries, thanks for taking interest in our band. We have a busy schedule in 2019 and can’t wait to get things moving! 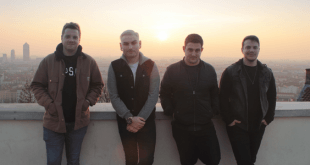 Previous Brightlight City have released their new single, ‘Feast On Fear’! Next Jake and The Jellyfish have released a music video for “Reading List”!